If you're using Safari 8, depending on your browser settings, you may have trouble logging into some Shopify apps including the Pop-Up Window because of a known issue in Safari 8. These instructions will walk you through making sure your Safari 8 browser settings are setup correctly to fix the issue. We also highly recommend upgrading to the most recent version of Safari. 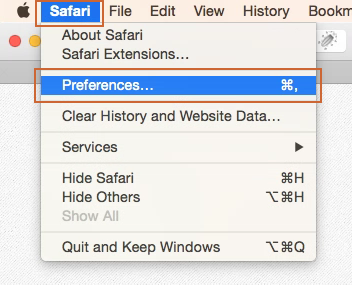 In your Safari 8 browser click on the Safari menu and then select Preferences. In the Preferences window click on the Privacy tab. In the Cookies and website data section make sure that either Allow from websites I visit or Always allow is selected. Close the Preferences window and try to login to your Pop-Up Window account again. If you're still unable to login to your account, please contact support at [email protected] for further assistance.